There are a few elements that make up a brilliant stag party weekend. 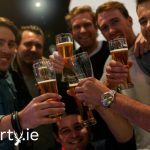 A great location, a stag party activity that gets everyone going, a few…to many beers and of course a humiliating the stag. When and wherever possible. There is nothing better than a good stag party prank. And if you put a lot of thought and effort into it. There’s no way he can be mad, he simply has to appreciate the effort. If you’re looking for a good prank, here are the best Stag Party pranks we’ve seen recently! Travelling abroad for the Stag. There are so many pranks you can pull at the airport and over there where, for the Stag’s sake, no body knows you. One classic prank is to print off the Stags boarding card on A1 paper. Now if you’ve never seen sheet of A1, it’s bloody massive and it will be comical watching the stag try to scan through at the barriers. Do make sure you have an extra one printed off in A4 just in case the security don’t enjoy this stag party prank as much as you. Another one for any Stag Party travelling abroad. The groom tends to have very little to do with planning his stag. That’s the best man’s job. He gets a bit of input from the stag but, along with us here in StagParty.ie, he plans the whole lot. 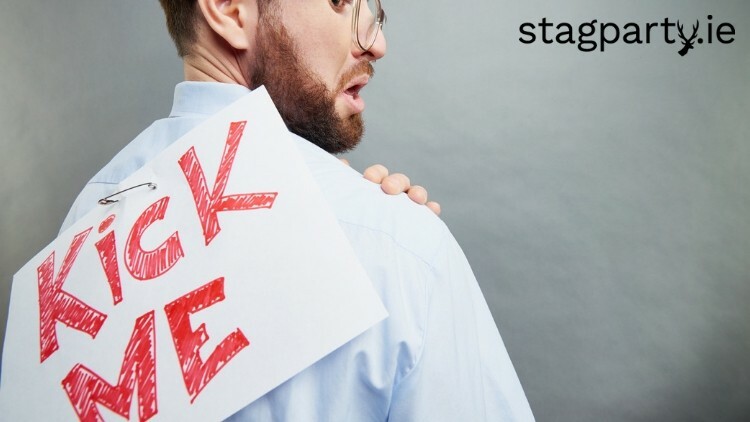 If he is also booking his flights for him, a great stag party prank is to book the Stag on a later flight home, on his own, when he is in a cruel condition and just wants his bed. The look on his face when he sees you all heading off through the gate and the realization he has a hours to wait for the next flight is priceless. No need to explain this one really lads. As he’s about to get hitched and will have a ball and chain. Simply tie an actual bowling ball and chain to the stags leg. He’ll get tired pretty soon lugging that thing around. This is simply going to hurt. If you plan on enjoying some paintball on the Stag. At the end of the day. Unload all the left over paintballs on the poor stag. Or if you’re feeling nice everyone just gets one shot! Ouch! So, there you have it lads. Just some of the Best Stag Party pranks you can pull on the Stag. Do you have any good stag party pranks we should know about? Finally if you need a hand planning an upcoming Stag Party. Drop us a line today on info@stagparty.ie for more details!